Reach back in time as Linderman returns home from the war. After returning from Vietnam, Linderman travels the country doing odd jobs and searching for a place to call home. When Linderman meets Linda Tavara, he remembers what it feels like to fall in love after years of being away at war. 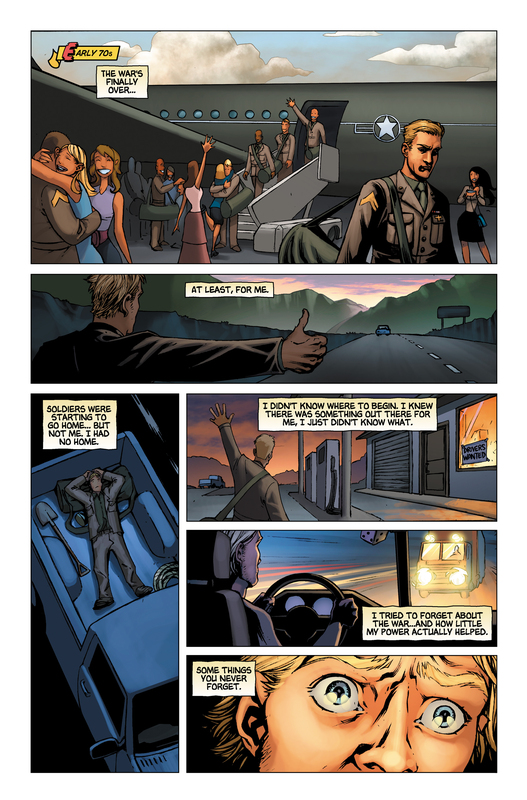 Linderman's fear of entrusting others is realized when he finds out that Linda has been waiting for him. Linderman, still haunted by the death of Au Co, returns to the U.S. from the war, but has no real home to return to. While picking up odd jobs, he meets a woman, Linda Tavara, who tells him to meet him at the Black Hawk Campgrounds. He recounts his experiences of the war to her, and they spend the night together. On a hike the next morning, they come across a deer that has been shot. Linderman decides to stop hiding who he is, and heals it. Linda, acting on the advice of another woman, tries to absorb Linderman's power, but he quickly subdues her and burns her remains. In her notebook, he also finds the name and location of his former comrade, Arthur Petrelli. 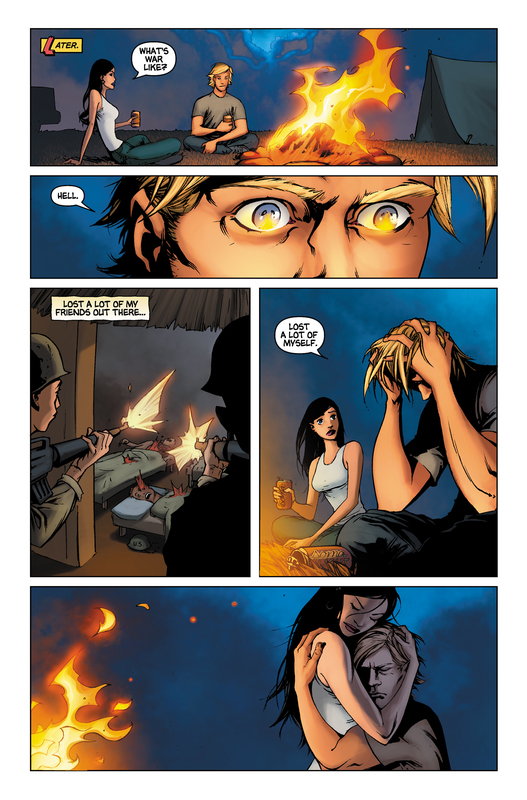 War Buddies is the first graphic novel to have multiple parts not released one after the other. War Buddies, Part 6 was released April 16, 2007; War Buddies, Part 7 was released 308 days later on February 18, 2008. In an interview, R.D. Hall said that the Linda Tavara storyline was purposely told backwards. 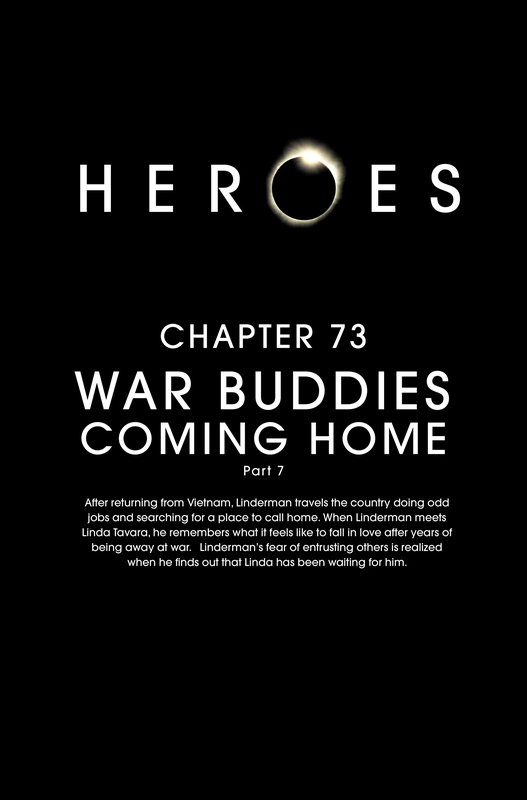 War Buddies, Part 7 is the end of that story. For the middle of Linda's story, see Bounty Hunter. For the beginning of the story, see Moonlight Serenade. Linda's notebook, where she kept information about Linderman and his ability, is where Linderman found Arthur Petrelli's name and location. 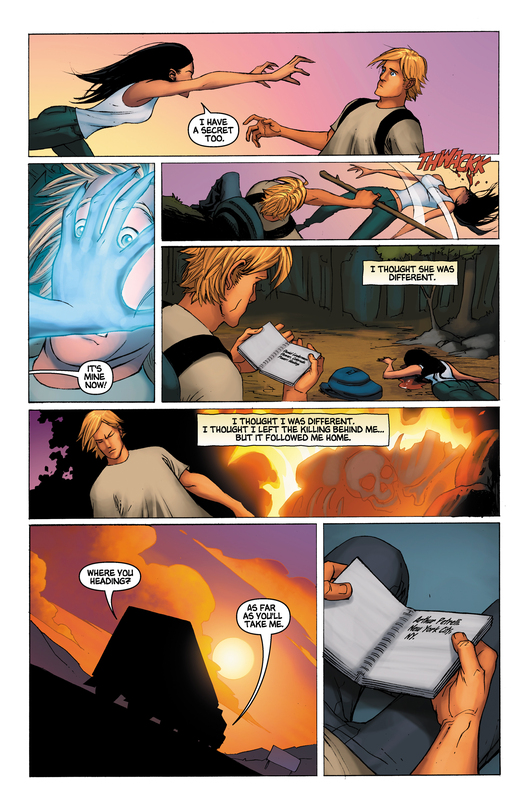 In the initial release of the graphic novel, the information written about Linderman in Linda's notebook runs over onto his hand. The text was not aligned properly with the image. The alignment was fixed in an update of the novel released the same day. The error reoccurs in the Heroes Volume Two hardcover collection from DC/Wildstorm. 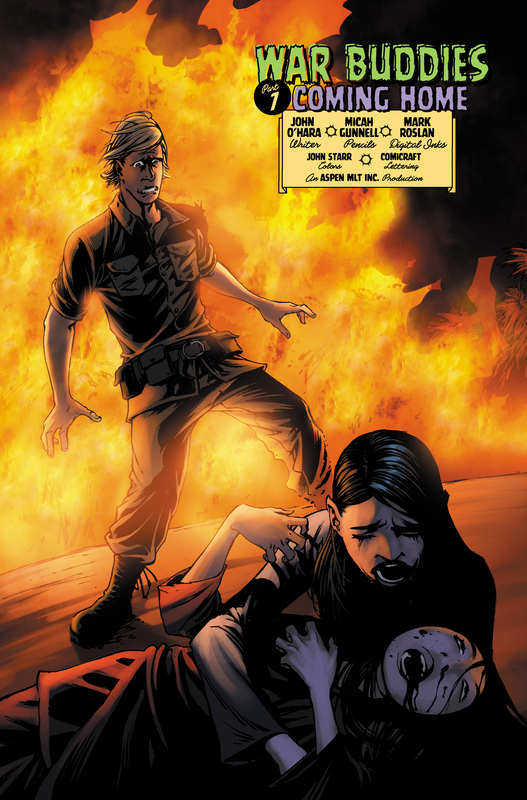 Jason Badower said he was specifically asked to illustrate this graphic novel to have visual consistency with the other War Buddies issues he illustrated. However, he had to decline due to other commitments. For images from War Buddies, Part 7, see images from War Buddies, Part 7. For other uses of War Buddies, see War Buddies (disambig). For Micah Gunnell's original art for War Buddies, Part 7, see here. This page was last modified on 20 November 2015, at 02:22.